why pulses are crucial for people and planet. Health, food security, environmental sustainability and increased smallholder income. Increasing legume productivity, production and consumption to combat poverty, hunger, malnutrition and environmental degradation. 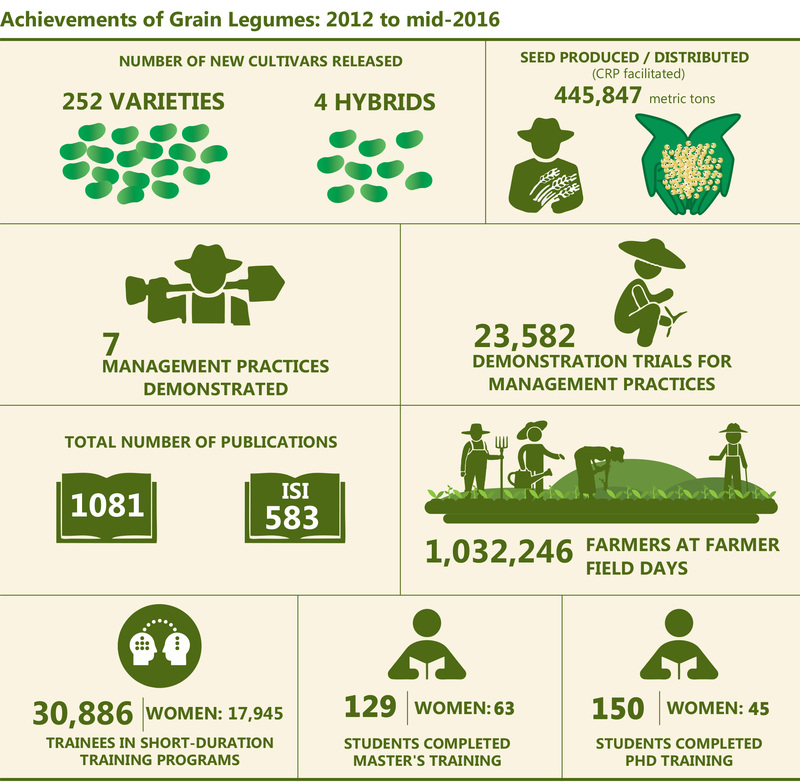 The Phase 1 Grain legumes CRP has been Phased out. CRP performance period from 2012-2016 highlights can be viewed in the synthesis.